Northwestern University’s Program in Public Health offers practice and research degrees emphasizing analytic skills for new college graduates and seasoned professionals. 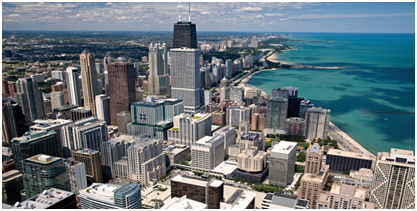 Both daytime and evening classes take place on the Chicago campus close to Northwestern Memorial Hospital, Lurie Children’s and the Shirley Ryan AbilityLab (formerly the Rehabilitation Institute of Chicago). New MPH concentrations in Epidemiology, Global Health, and Community Health Research join the long-standing generalist MPH. Full-time students can complete the MPH degree in 12 months while a part-time, evening program is a good fit for working professionals. The Master of Science in Biostatistics serves those interested in careers in statistical analysis and those preparing for careers in population-based research with a full-time program that can be completed in 12 months. The Program in Public Health is overseen by the Institute for Public Health and Medicine (IPHAM) at Feinberg School of Medicine.